Col supporto di: Regione Emilia-Romagna, Comune di Bologna, Edizioni Zero, Cheap On Board. Si ringrazia: Reno Rugby, BulDogClan, Caucaso, Humareels. Sabato 1 ottobre 2016 si apre la stagione di Raum, lo spazio di Xing a Bologna, con Metal Panic, performance ideata per l'occasione da Marcello Maloberti, artista e veterano delle performing arts in Italia. La festa di apertura prosegue con il lancio del suo blog MARMELLATE, dislessico flusso di immagini e testi, ri-sgrammaticato dall'intervento sonoro di Daniela Cattivelli, e con un'incursione di poster-art di Cheap On Board. Saturday 1st october 2016 Xing's space in Bologna, Raum, opens its autumn activities with Metal Panic, a performance created for the occasion by the visual artist Marcello Maloberti, a veteran of performing arts in Italy. The opening continues with the launch of Maloberti's blog MARMELLATE, a dyslexic flow of images and texts, annotated by the ungrammatical sounds of Daniela Cattivelli. 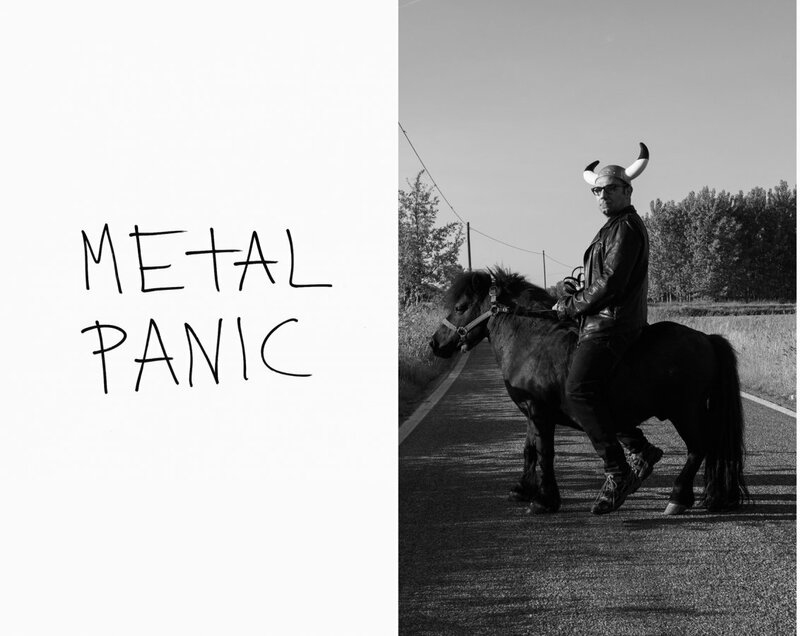 METAL PANIC is an original performance purposely conceived and realized by Marcello Maloberti for Bologna. In a narrow road of 4 meters, an iron pipe of 24 meters, with a diameter of 9 cm, is raised by amateur and professional strongmen with a gesture of lifting a line in a minimal horizon. After a minute of tension between high and low, the performance will be resolved unpredictably. A human architecture for a home-made horror. "Modern Horizon of Modern Iron". An inaugural gesture, shamelessly unproductive -like all ribbon cuttings- at the entrance of Raum, meticulously prepared, made with reckless effort and dangerously consumed in a flash, marking the opening of the party.